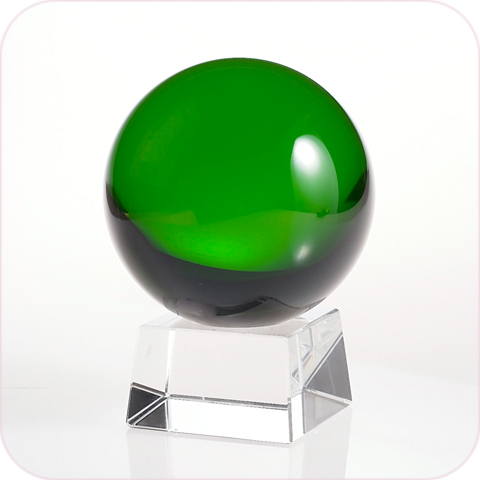 This enchanting green crystal ball adds a positive and energizing feel to your space. 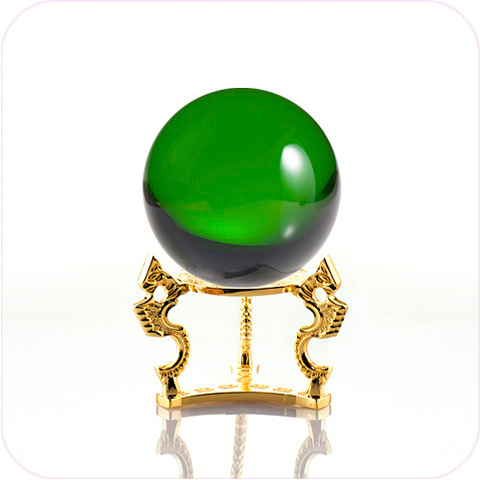 It's stunning emerald hue is associated with healing and nourishment. 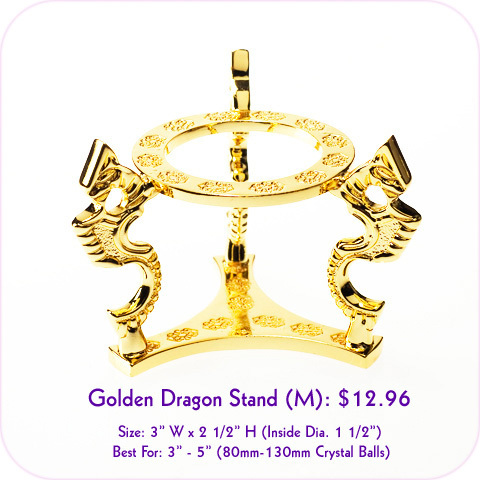 According to feng shui, it may even bring wealth. 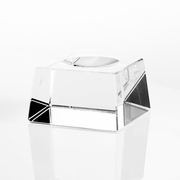 This reflective crystal provides a fun way to add serenity, and possibly good luck, to your environment. 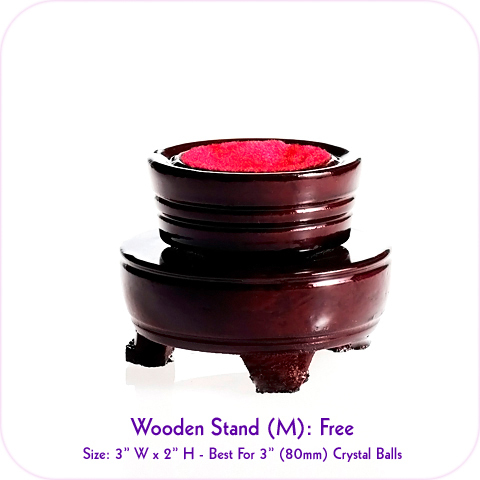 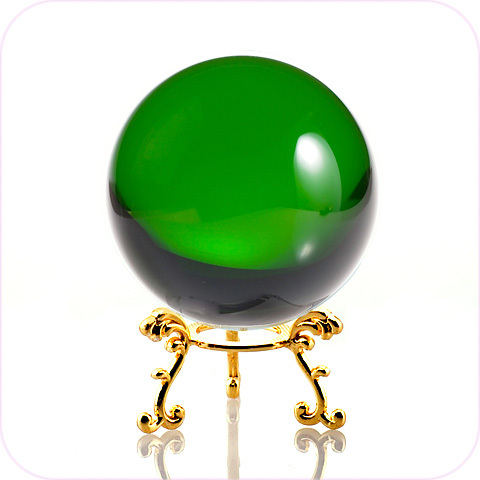 Green (Emerald) Crystal Ball (M) with FREE Wooden Stand and Gift Package. 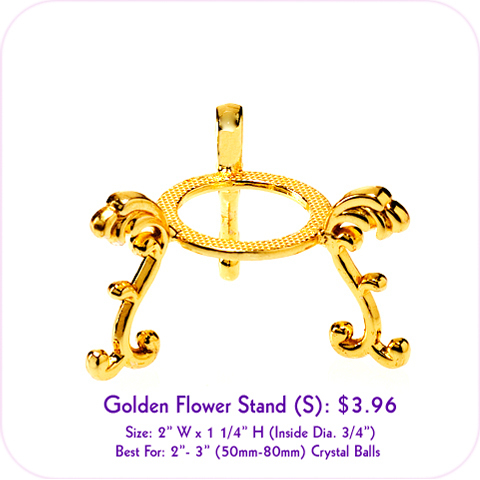 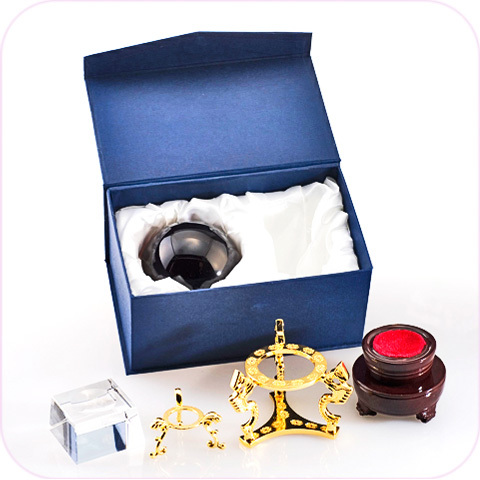 Clear Crystal Stand: $2.96, Gold Plated Stand (S): $3.96, Gold Plated Stand (M): $12.96 (See Accessories).